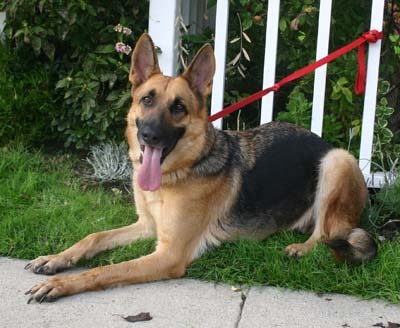 Sophia von Dresden is a stunning, classic looking 4 year old German Shepherd. 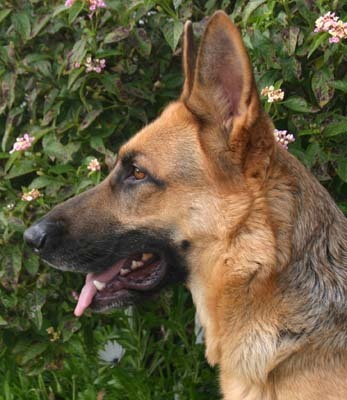 She is so beautiful; she is everything a shepherd should be. She is very alert and aware of her surroundings, she is very focused on her person, and she listens and is anxious to please. She was lost and ended up in the shelter. 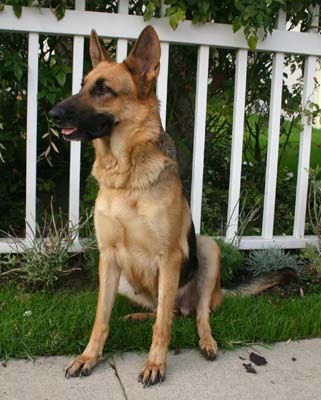 She is a super bred dog which we can tell by how she is built and the coloring of her coat. 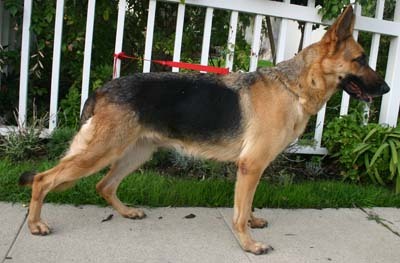 She has what is called ticking down her back, which is popular with the imported German Shepherds. Her coat is well kept and she looks like she recently had a bath. 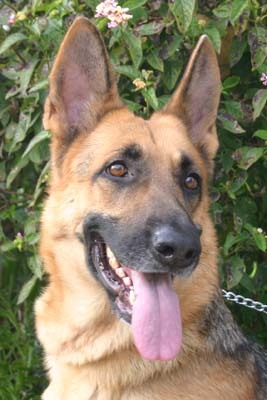 We think she belonged to a breeder, since she has been bred. Sophia has been in cars and leaped right in the car and settled right down. She immediately becomes protective of the car, so you will feel very safe. She is fine with other dogs she has met and doesn’t seem dominant with other animals .As much as we see beautiful dogs left all the time, it just seems again so impossible that someone lost this beautiful girl. 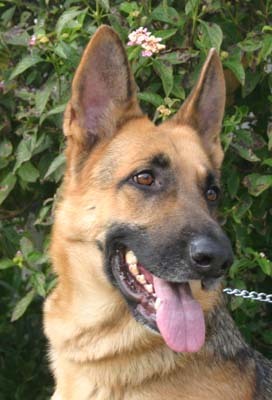 Now she is micro-chipped and is wearing tags, we don’t want her ever to endure such an ordeal again.